Starting at 10:00 am and running all day, guests were able to experience a Pop-Up Exhibition of Roberts Williams’ Prickley Heat roadster and his epic Ford Coup along with Ed “Big Daddy” Roth’s custom Shop Truck. The museum also welcoming a cruise-in of hot rods, customs and other cars from L.A.’s unique car culture, including the gorgeous 1962 Nova of artist & California Locos member Dave Tourje. 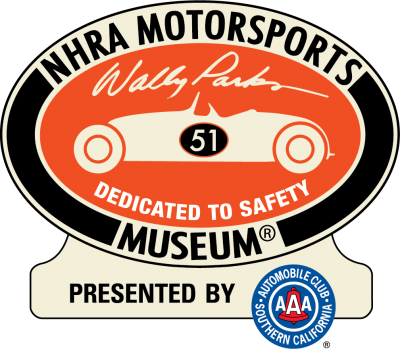 The evenings program started at 5:00 pm with a conversation with Robert Williams: Hot Rod Innovator and curator Greg Sharp as they explore Williams history and influence on hot rod culture and the art world. Robert Williams is an American artist and hot rod innovator; his famous primed 1932 Ford coupe was the first Rat Rod. He is an automotive designer, whose passion for hot rods goes back to when he was 12 years old and talked his dad into getting him his first car, a 1934 five window Ford coupe. He is an internationally recognized fine artist, and cartoonist. In the 60’s Robert worked as an art director and artist for hot rod legend and custom car builder Ed “Big Daddy” Roth. He later worked drawing and producing alternative comics for Zap Comix in the Bay Area. In the early 90’s Robert became the co-founder of the underground art magazine Juxtapoz, which is one of the most followed and read art magazines in the USA. Robert Williams and his art and cars are born out of hot rod innovation, California culture and, raw inspiration. All proceeds supported the museums’ mission and outreach to the community. Thank you to Robert and Suzanne Williams, Galpin Motors, Old Stump Brewery, Gale Banks, Mooneyes and others for helping to make the event possible. A casual dinner featuring Mexican fare catered by Alex from Bonnies followed the presentation. Please stay tuned for future special Innovator Events in 2019.